Capitão Fausto’s manpower consists of Tomás Wallenstein, Domingos Coimbra, Francisco Ferreira, Salvador Seabra and Manuel Palha. When they were 16, they started playing covers together and that inspired them to make it as a band. Hailing from Lisbon, they quickly embraced psych rock as their sound and Wallenstein, the band’s lyricist, decided that their songs had to be written in Portuguese to make sure everyone listening was paying attention to what was being said. 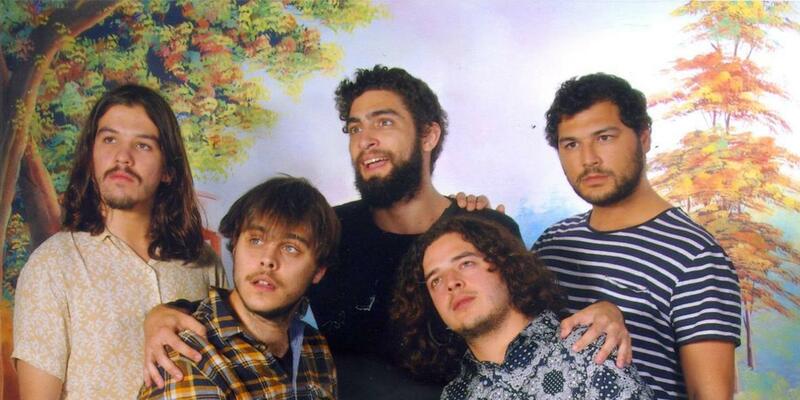 Already involved in an avalanche of performances, they presented their first album, Gazela, in 2011, an energetic record brimming with life, and followed-up with Pesar o Sol, further deepening their exploration of the psychedelic sound. Their latest LP is named Capitão Fausto Têm os Dias Contados — which roughly translates as ‘Capitão Fausto’s days are numbered’. The sound has become more pop-influenced and the lyrics are simpler, yet they possess additional bite. This project acts as a true goodbye letter to youth and how adulthood is already looming over their heads. The album was hailed as one of the best of the year by Portuguese music critics. They’ve toured extensively and have appeared at festivals such as Rock in Rio, Vodafone Paredes de Coura and Super Bock Super Rock, but their biggest achievement yet was filling Lisbon’s legendary Coliseu dos Recreios venue. A well-deserved victory lap for all the work that they put in since 2011 in bringing a new generation of Portuguese fans closer to rock.